Source: Purchased in individual issues. The Wicked + The Divine is one that a lot of people are talking about and that I have been eyeing since the first issue came out…but finally I broke down and bought the first volume. The wait was totally worth it. This is definitely a favorite of mine already! 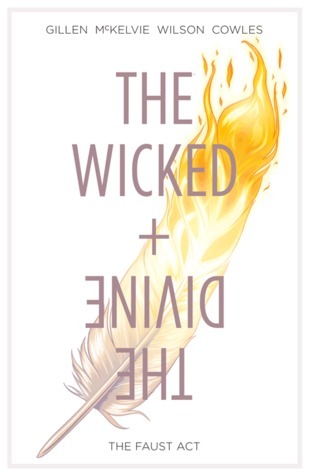 The Wicked + The Divine has an interesting concept. Every 90 years twelve gods incarnate as humans, and as humans they serve a rather interesting purpose and fulfill a different sort of role. They become entertainers who live for the adoration of their fans, it’s the perfect way to gain worshippers…however we don’t get the full story as to why they reincarnate twelve at a time or every 90 years…or why they need to. I’m really hoping that it’s touched on some more in the next volume. However despite this I loved the whole thing. I’m a huge mythology fan and this book is just full of different pantheons. We have Amaterseru, Lucifer, Ananake (not part of the 12, but still a god), Baal Hadad, The Morrigan (in all three forms), Baphomet, Sekhmet, Athena, Woden (Odin), and a mention of Tera. And then we have our main character Laura, who is a fan of the Gods and wants to have a part in their world and because of this finds herself in the middle of a bit of drama involving Lucifer and a couple of murders. I LOVED the characters in this. It’s obvious that the writers took the time to know who each god is and give them separate voices. Plus the artwork…GUYS THE ARTWORK….it’s just so gorgeous. I finished this a couple of hours after I bought it but I’m still flipping through and checking out the panels. It’s one of those comics that are a true joy to look at. 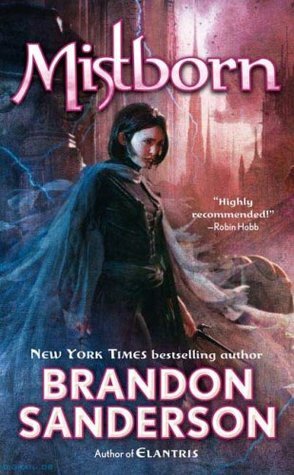 This would be a perfect starting point for someone who is curious about reading comics but doesn’t want to wade into the incredibly deep waters of DC and Marvel. With a great storyline and phenomenal art this is not one to miss out on. 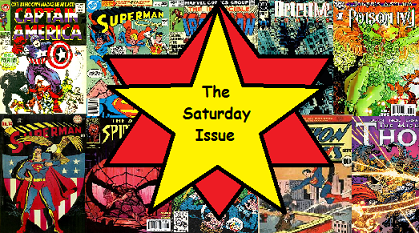 This entry was posted in Book Reviews (2015) and tagged 5 stars, graphic novel, review, saturday issue. Bookmark the permalink.